Clash Royale is a fantasy player versus player tower defense game developed and published by Supercell. It is available for iOS and Android devices. 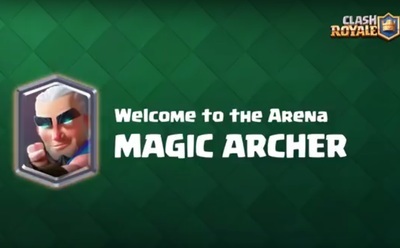 This trailer shows in-game footage of the new playable Magic Archer character. Get the latest and greatest trailers in your inbox by signing up for our newsletter! Will you be checking out Interstellar? Game of Thrones renewed for two more seasons, are you excited?